In the early 70's an agent was able to contact an aeronautical engineer from Germany, that explored sound and its effects on the body, mind, spirit of an individual. 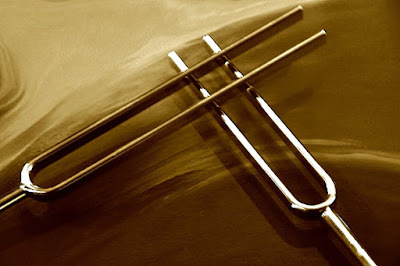 He crafted precision tuning forks, with specific frequencies out of bell quality, medical grade stainless steel. On my behalf the agent acquired several sets, to my specifications, that I was able to purchase. As I joyfully listen to, "Joshua Bell's Red Violin." I fiind myself identifying with the magical quality and feelings of sound that speak the harmonies of spirit and consciousness... this the very core of APOGEE Acu-Tone™ 🌀.